The Link employs the services of a local representative in Nicaragua to supervise our projects and to maintain contact with the local council, as the twinning partner. The current representative is Sra Magdalena del Carmen Hernandez, who prefers to be known just as ‘Carmela’. Carmela is employed on the basis of four days each month. She also looks after the Link’s bank account in Nicaragua. Carmela is very enthusiastic. 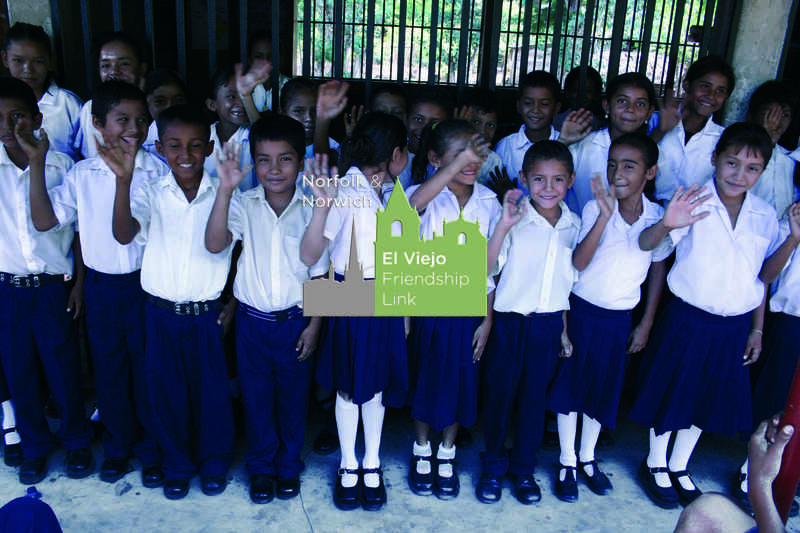 She visits El Viejo regularly and holds meetings with members of the local council, including the mayor, and teachers from the schools in the scholarship project which she is very involved with. Carmela sends us a report of her work each month as well as a quarterly financial report. Carmela lives in the city of Leon, about 30 km. south of El Viejo. She also chairs a bi-monthly meeting of the committee of teachers representing the eight schools in the scholarship project.